Spray 3 1/2- to 4-quart slow cooker with cooking spray. 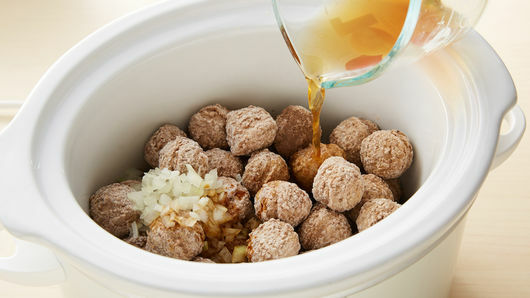 Place meatballs and onion in slow cooker. Stir in broth, Worcestershire sauce and nutmeg. 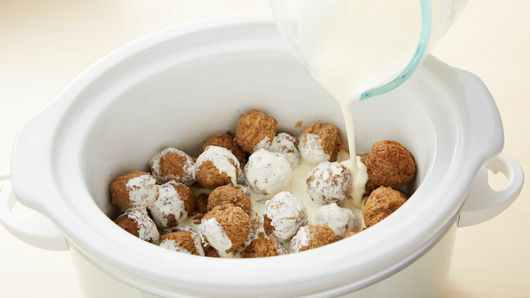 In small bowl, stir whipping cream and cornstarch with whisk until well blended. Pour over meatballs. Cover; cook 10 minutes on High heat setting until thickened. 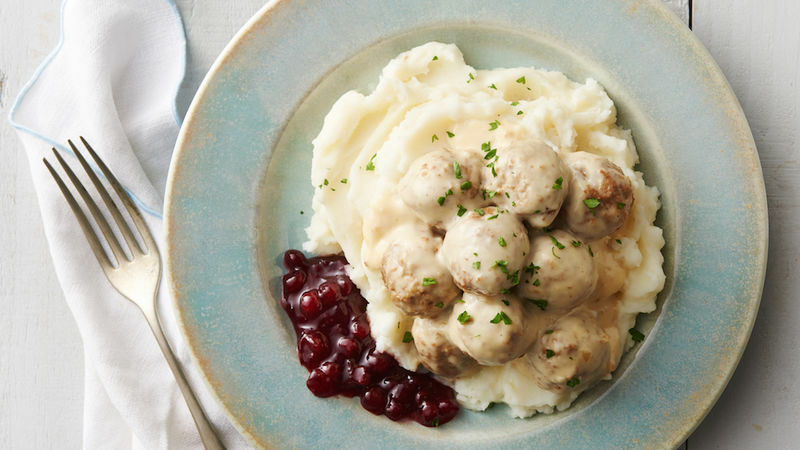 Serve with lingonberry sauce or cranberry sauce.